IT'S only a matter of time before Bundaberg is struck by an earthquake big enough to cause buildings and bridges to collapse. That's the warning from CQ University's lead earthquake seismologist, Mike Turnbull. Mr Turnbull said the problem scientists faced was a lack of funding to research the significance of smaller quakes which have the potential to lead to quakes on a much larger and more devastating scale. Mr Turnbull believes monitoring the smaller quakes will give a better idea of where the next big one could strike - and he says Gin Gin could be in the firing line. "You can't just look at the large earthquakes around Australia, it's the small ones," he said. "In the decades prior to the larger ones reactivating, areas start producing small earthquakes just like it has been doing here." 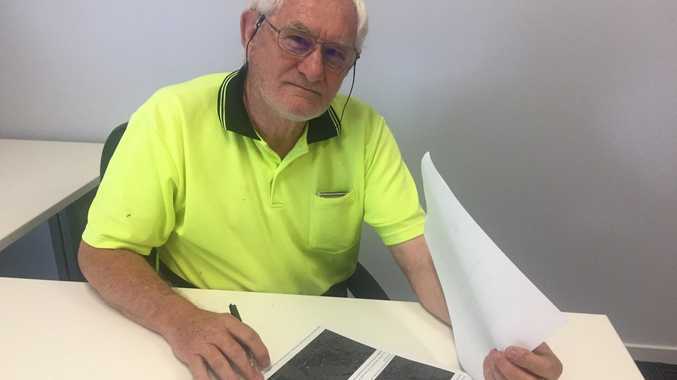 Mr Turnbull, who is also the Central Queensland Seismology Research Group leader, said region was the earthquake capital of Queensland and eventually another big one would hit. "There is some evidence that the energy from the earthquakes in the Mount Perry area is migrating," he said. This puts Gin Gin in the path of destruction, Mr Turnbull said. Geoscience Australia, the Federal Government's geophysical authority, is responsible for monitoring and analysing earthquakes. However it only records earthquakes higher than 3.5 on the Richter scale. "In the decade before 2015 the GA earthquake catalogue for the region within 300km of Bundaberg lists only 13 events, ranging from 2.0 to 4.4," Mr Turnbull said. Yet over the same period the CQSRG reported more than 160 earthquakes ranging from magnitude 0.0 to 4.4. "I believe we need to monitor for low magnitude earthquakes more so we know where they are occurring," he said. "This data will give us statistical information and we can use it in the future and if we see a pattern, just like we have in Mount Perry, we can prepare. "We'd see that we are getting a build-up of small earthquakes starting to happen more and more often." He said the area was capable of producing large and damaging earthquakes and one in a 30km radius of Bundaberg would be catastrophic. "It may not happen in my lifetime," he said. "But we can't afford to think about earthquakes in human lifetimes - earthquakes don't occur in generational times they occur in hundreds or tens of thousands of years and it's just a matter of waiting long enough and a big one will occur." He said the government was being foolish by not taking notice of the information on hand. "If we monitor the low magnitude earthquakes and then in 10 years' time they stop, we can see the energy will start to build again instead of dissipate," he said. Mr Turnbull said monitoring small quakes would be expensive but the cost of ignoring the problem would be greater. "In social terms, economical terms and scientific terms we need to know where the earthquakes are occurring and it's not the big ones we need to watch it's the little ones," he said. "We need to seriously look at this area and spend more money on it." 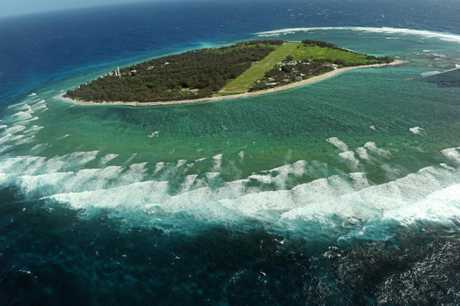 IN 1918 the largest earthquake in Queensland struck off the coast of Bundaberg at Lady Elliot Island with a magnitude of 6.0. It happened at 4.15am on June 7 and the epicentre was probably about 100km off the coast between Rockhampton and Gladstone. The 1918 quake, which was now listed in the Emergency Management Australia database as a magnitude 6, had often been identified in literature as a magnitude 6.2 and even as 6.3 in University of Queensland literature in 2006. The earthquake was felt from Mackay to Grafton in New South Wales and west to Charleville. 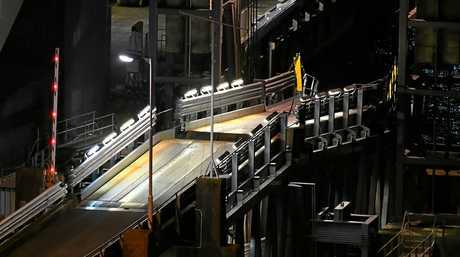 It caused some damage in Bundaberg and Rockhampton, and stopped many clocks, including the one in the Pile Light in Brisbane, where it was felt in most suburbs. It could have been felt by people up to 459km away and caused damage up to 37km away. It caused minor structural damage in Bundaberg, toppling chimneys for example, and caused mild panic in Rockhampton where people were reported to have run into the streets screaming.